The big move to Dublin is over, lectures have begun and college life has well and truly started. Although the hustle and bustle of it all is a great distraction, it can be difficult for some people to settle in. 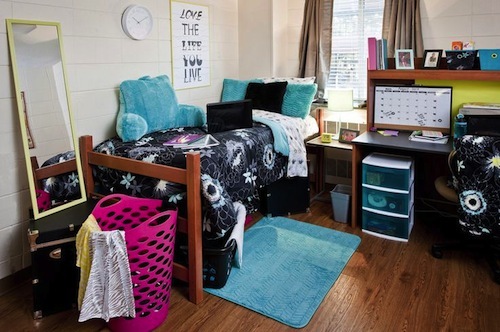 It’s completely normal for students to feel homesick at some point after they move to college. It doesn’t usually last too long but it can be an awful experience if you’re really missing certain people or things. Sadly, clicking your heels and saying “there’s no place like home” isn’t going to help you. However, there are ways to tackle your homesickness so you can enjoy college even more. Having a new room is a great way to reinvent yourself and start anew but it’s also the key to making yourself feel comfortable at college. Decorate your room with things from home: photos of friends, teddy bears, posters and cushions. A trip to the home section of Penneys with your new roommates is the perfect day out and bonding experience. Cushions, blankets and quirky decorations will make your house your home in no time. Stay in touch with family and friends at home but don’t overdo it. Sitting in and waiting on a phone call from mammy will do you no good. You have to get out of your comfort zone and branch out if you want to move forward in life. There are so many social events going on in DCU all the time, as well as more than 120 clubs and societies for you to join. If you find that you still miss home, then just hop on the bus and go home at the weekend. Because we live in Ireland, we have the luxury of being just a bus journey from home. As the year progresses, try to stay up in college every second weekend.